The Rarest Corvettes and Muscle Cars – The Rarest of the Rare Up Close and Personal! 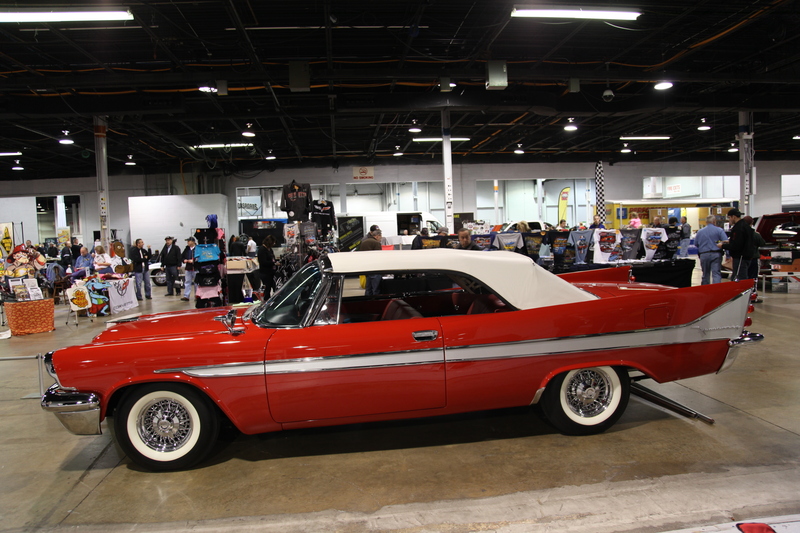 Bob Ashton hit another home run with the 5th Annual Muscle Car and Corvette Nationals held November 23 and 24 at the Donald E. Stephens Convention Center in Rosemont, Illinois. 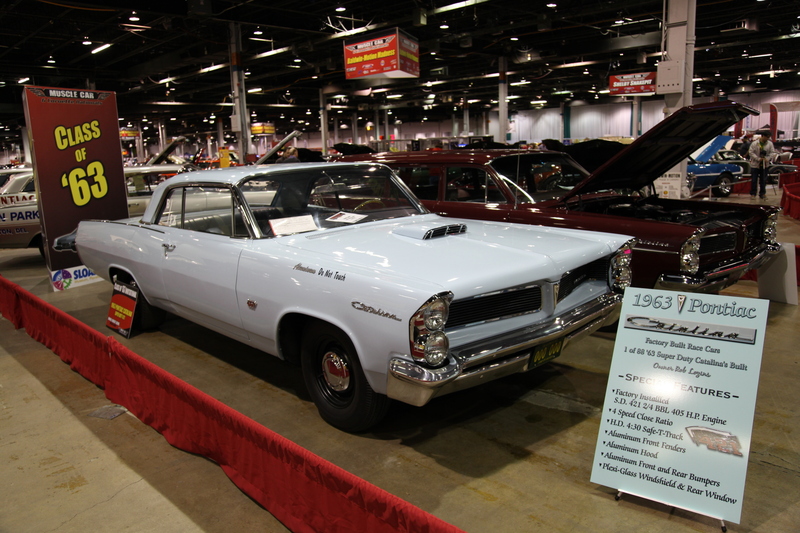 The show, which uses nearly 400,000 square feet of space in the sprawling convention center, again brought together an amazing collection of muscle cars, many of which are rarely seen outside of private and museum collections. If you like what you see here, stay tuned! We’ll add more pictures and details to our favorite muscle cars from the show. When Chevrolet entered the pony car segment with the Camaro in 1967, it faced an uphill battle. Ford already had the segment locked down, and the bowtie brand was starting essentially from scratch. For that reason, Chevrolet threw every resource it had at its disposal – including the talents of the legendary designer Bill Mitchell – to build the one-off Camaro Cherokee show car. We’ll have more detailed coverage of this unusual contemporary concept vehicle coming soon! Only 700 DeSoto Firesweep convertibles were built by Chrysler in 1958, a mere 12 of which still exist today. More details and images to come of this very rare vehicle. The Muscle Car and Corvette Nationals is the nation’s largest, all indoor specialty show and swap meet devoted to Muscle Cars, Dealer-built Supercars and Corvettes. Ashton is Managing Member of the group of enthusiasts who got together and staged the first show back in 2009, replacing the long running Chevy Vettefest. During a trip to England, automotive designer Bill Mitchell caught a glimpse of a Rolls Royce emerging from the fog. Inspired by the vision, he began designing what would become the Silver Arrow I. This car has been shown at various concours shows, but is rarely outside the Sloan Museum. But it was in Chicago and it is gorgeous. More images and story information to come! Ashton is a long time muscle car enthusiast and past major show manager who started in the business owning a small store in Utica, MI called Auto Know, devoted to selling car literature and memorabilia. He has promoted shows for various car companies over the years and spends his time when this show is not in session traveling all over the country building his network of connections and making arrangements to bring only the very best muscle cars, racers, original one-owners, barn finds and, of course, Corvettes to this spectacular event. 1972 Indy 500 Pace Car Olds Wagon! The 1972 Indy 500 was paced by one of Dr. Oldsmobile’s W-Machines, but who knew that one of them was a station wagon! Fully restored and sporting all the W-machine goodies, this wagon had to be one of the most unique vehicles that was on display at the Muscle Car and Corvette Nationals. 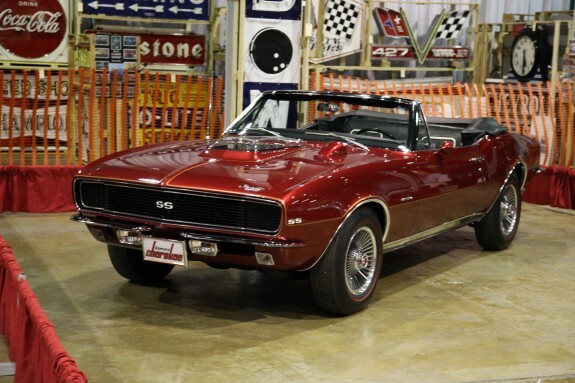 The show hosted over 500 of the finest and rarest muscle cars, dealer-built super cars and Corvettes from 27 states. Special displays this year included an Anniversary Showcase display for 1963 and 1973 Super Duty Pontiac’s, one for ’73 Stage 1 Buick’s, one for the absolute finest and rarest Camaro Z/28’s and of course our Vintage Certification area for unrestored original cars along with the Triple Diamond Corvette display and competition for original and restored Corvettes that have already achieved both NCRS Top Flight AND Bloomington Gold status. Starting in 1962, Pontiac decided it was time to not be so stodgy and the Super Duties were born. A nice contingent of these rare race machines showed up in Chicago and wowed the crowds. More Super Duty images and detail to come. 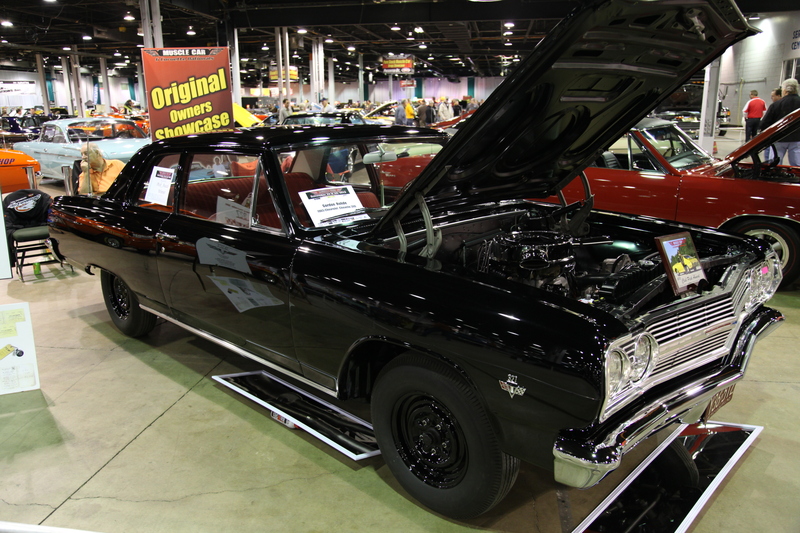 This 1965 Chevelle was brought to the Muscle Car and Corvette Nationals for one reason…to see how it might do in the judging. So how do you think it did? A special gathering of Plymouth Roadrunners, along with various related memorabilia, was featured, sponsored by The Wellborn Muscle Car Museum. The Shelby Snakepit, hosted by Colin Comer, returned with a whole new group of significant Shelby automobiles. The show also again hosted the popular Barn Find/Hidden Gems display, hosted by the Automotive Archaeologist, Ryan Brutt. The show has reached the pinnacle of major shows and is a must see for enthusiasts. Well planned and organized, the collection of muscle cars and sweet automotive iron is simply mind blowing and capturing it in a gallery of photo images is almost impossible, but we tried! 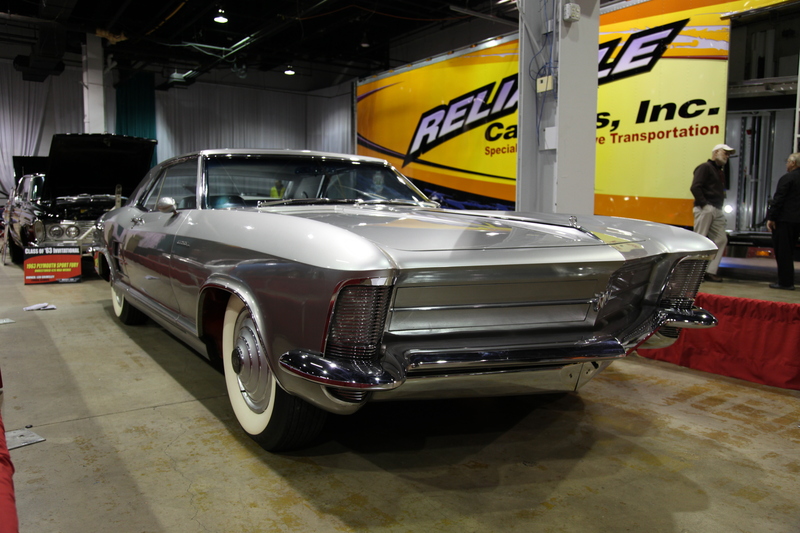 Click here to see some of our favorites from the show and don’t forget to keep watching for more feature cars from the Muscle Car and Corvette Nationals.